Description : Iron Lantern with Jaali work. Brighten up your space with our lanterns and candle lanterns. We manufacture and supply Indian Hanging Lantern, which are offered in attractive shapes and designs. These are prepared from finest quality of raw material which is procured from the best vendors of he market. 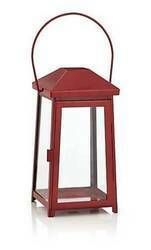 Our range of lantern is offered at best competitive prices to our customers. We are an eminent Decorative Iron Lantern Manufacturer, Importer, Supplier and Exporter in New Delhi, India. Our Decorative Iron Lantern is highly admired for its intricate carving and captivating appeal. 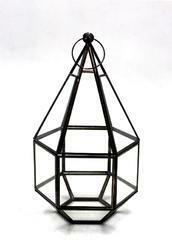 The entire collection of our Iron Hanging Lanterns is available in different sizes and shapes. We are the leading manufacturer of a wide range of Antique Lanterns. These designs are highly appreciated for its superior finish and beautiful designs. With different sizes clocking, these galvanized Hanging lantern would provide height and interest to a street lighting without breaking the bank also have leather styled handle. Iron & Glass Lantern Nickel Plated.